“We are deeply saddened that our beloved father passed away today," says the statement released by the scientist's family. The statement has been published early Wednesday. “He was a great scientist and an extraordinary man whose work and legacy will live on for many years," the statement reads. “His courage and persistence with his brilliance and humour inspired people across the world." Hawking was an English theoretical physicist, cosmologist, author and Director of Research at the Centre for Theoretical Cosmology within the University of Cambridge. His scientific works include a collaboration with Roger Penrose on gravitational singularity theorems in the framework of general relativity and the theoretical prediction that black holes emit radiation, often called Hawking radiation. Hawking was the first to set out a theory of cosmology explained by a union of the general theory of relativity and quantum mechanics. He is a vigorous supporter of the many-worlds interpretation of quantum mechanics. Hawking had a rare early-onset, slow-progressing form of amyotrophic lateral sclerosis (ALS) that gradually paralysed him over the decades. Hawking surprised doctors around the world, as he lived on despite the disease which usually leads to death within years. 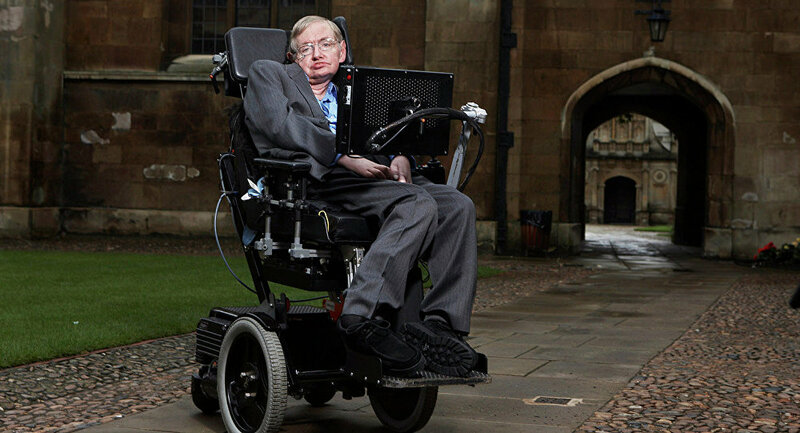 The ALS gradually disabled Hawking's body, forcing him to use a wheelchair and his trademark voice synthesizer, which he controlled using his cheek's movement. Despite being paralyzed, Hawking continued to do science, speak before audience and write books that popularized science among wide audience.